That sounds a little ridiculous, I can't believe mazda doesn't sell the water pump for an FD anymore. I would normally agree with that line of thinking, especially considering the effort into the aluminum jack alone...however, let's look at the plastic AST and plastic OMP lines...so I don't trust EVERYTHING on the car, haha. Now, let me get this straight, you can't get just the pump anymore? And now instead of $235 it's $200 more now? Wouldn't it be possible for them to sell just the impeller and let us install it ourselves? OR we could send them a water pump and have them put the impeller in? Just a couple ideas. I agree. A simple core swap system would have solved these issues. Core exchange would definitely solve the problem. I find it hard to believe that Mazda would stop selling a common wear item like a water pump by itself. I called them, and I think the new impeller is from some other car's water pump, and they can no longer get the impeller by itself, but need to buy the complete unit with impeller and housing. 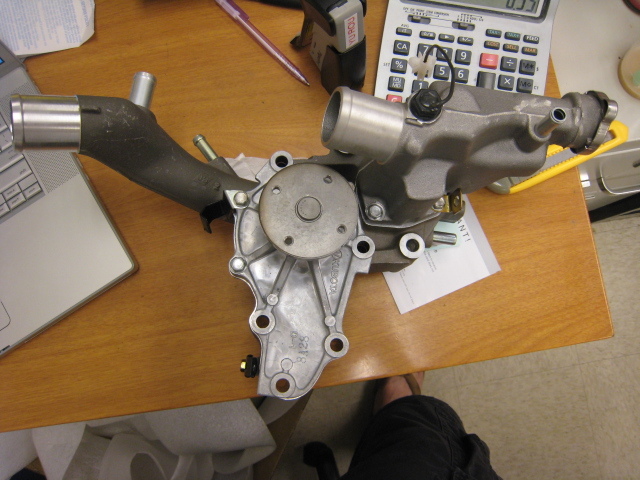 This other housing gets thrown in the trash after they remove the impeller for installation into an RX-7 pump housing. Phew, glad I bought mine straight away. Why the discoloration of the housing surface exposed to coolant? Sgtblue, it looks like a type of hard anodize. OK. It looked like the coolant might have been way overdue and carrying alot of rust from the irons with it...and maybe aggravated the errosion issue. ^You bought the whole assembly or just the water pump? we received our water pump this week.If anybody wants one go to your local Mazda dealer and order part no N3A1-15-100A--ask your parts guy to order it VOR(Vehicle Off Road) and you should have one in a few days.As I said list in Canada is $124. I'm not quite following what exactly it is you ordered. Is this just the standard water pump? Or is it the same water pump being sold by MazMart, the Re-Medy water pump? BTW, that part # is $53.04 from Mazda Motorsports. They may have some in stock. Maybe I can help. I live in Japan and could possible track down the parts and makers if anyone has a clue to who actually makes the impeller. Is a copy of a Mercedes unit or a completely new CNC design. By the way I do this type of stuff for a living. I just got my RE-Medy water pump. Per Sheldon, five more still in stock. 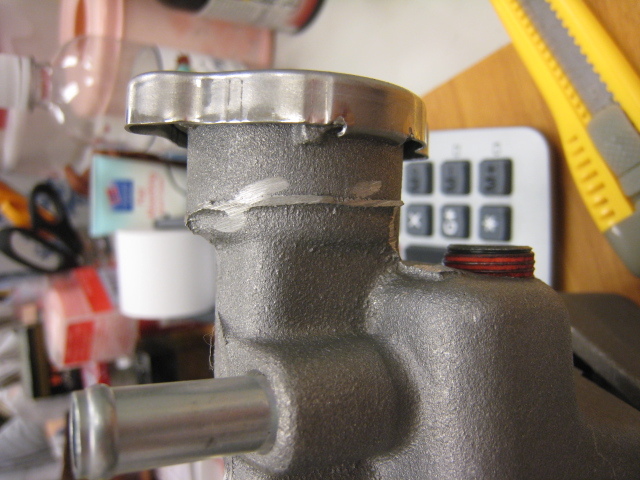 ^^^^Did you just get the water pump or did you have to get the whole housing and such.. I'm wondering about the same thing. They just bought a bunch of OEM waterpumps off of e-bay a while back, so I wonder if they will be able to sell just the waterpump alone without the whole housing. Last edited by shinrars2; 10-22-08 at 08:34 PM. I thought it was decided that this aftermarket pump actually is worse...?